Update: iOS 8.4 has been released, and so is TaiG and PP jailbreak for iOS 8.4. iPhone 6, 6 Plus, 5s, 5c, 5, 4s, all iPads and iPod touches are supported. You can download the jailbreak tool of your choice from below and then follow our guides on how to jailbreak your device on iOS 8.4. Here’s a brief timeline of the events leading up to the jailbreak. The first beta of iOS 8.4 was released back in April. Later in same month, i0n1c was actually the first one to jailbreak iOS 8.4. He demonstrated his jailbreak, likely using different exploits than the ones used by TaiG, on an iPhone 6 running iOS 8.4 beta 1. Apple announced at WWDC that Apple Music will be released as part of final version of iOS 8.4 on June 30th. And right on scheduled time, iOS 8.4 was released with support for Apple Music, Beats 1 and more. 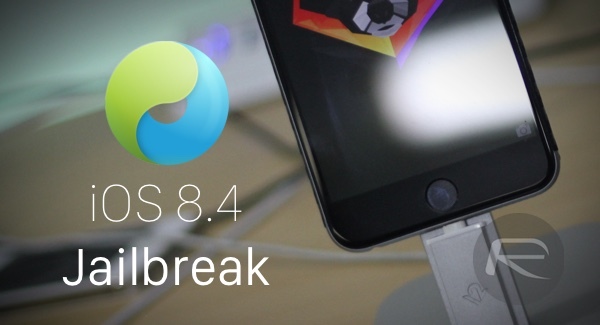 Since TaiG released iOS 8.3 jailbreak only a week before iOS 8.4 went public, many in the jailbreak community feared that Apple may patch the jailbreak come the final release of iOS 8.4. But that didn’t happen as mere hours into release, iOS 8.4 got jailbroken. It wasn’t all without drama though. PP jailbreak by 25PP was the first to release the jailbreak for iOS 8.4. TaiG accused them of stealing the code and releasing the jailbreak based on TaiG’s exploits. 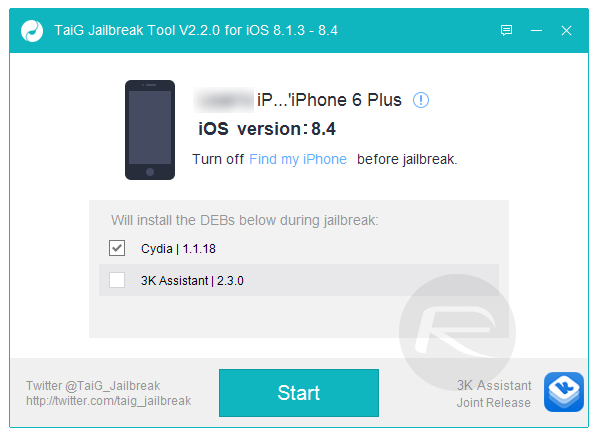 An hour after PP jailbreak went public, TaiG dropped an updated version of its tool, v2.2.0, to jailbreak iOS 8.4. In mid-July, PP jailbreak for Mac was released. This was the first iOS 8.4 jailbreak tool that worked with Mac OS X. In early August, TaiG finally responded with its own Mac OS X version of the jailbreak tool. Both PP and TaiG jailbreaks for iOS 8.4 supports all iOS devices, including, iPhone 6 Plus, iPhone 6, iPhone 5s, iPhone 5c, iPhone 5, iPhone 4s, iPad 4/3/2, iPad mini 3/2/1, iPad Air 2/1, iPod touch 5 and even the latest iPod touch 6. Both TaiG and PP jailbreaks for iOS 8.4 are also backwards compatible for jailbreaking iOS 8.1.3, 8.2 and iOS 8.3. In mid-August, Apple released iOS 8.4.1 which patched jailbreak exploits used by TaiG in iOS 8.4 jailbreak. This page will be continuously updated with all the latest on the jailbreak for iOS 8.4. For tutorials and download links, check out the updated links at the top of this post. I had problem wif connecting to wifi esp to new wifi. I tried resetting the network bt no luck. Then i reset all setting, it works but only for limit time. Example i reset tonight and connect to wifi success, but when i tried today, just hanging like dat. Didnt even say unable to connect to . Did anyone of u have this problem or anyone knows how to fix it. After Jailbreaking with PP for Mac (couldnt get TaiG to work) I have a new update in Cydia for the TaiG Jailbreak. It cannot be installed but it keeps nagging me to update. Any idea why? Probably not. But turning it off is only temporary. After jailbreaking, you turn it back on. You have to do a clean install with the iTunes program. no carga la página de Taig… dónde mas puedo descargar ? i can’t download Taig app, where can i ? Can anyone recommend a good hotspot cydia app for 8.4? Redmond’s compatibility list doesn’t have anything I recognize. Or if anyone is using the usual suspects like MyWi on a jailbroken 8.4, please chime in! Thanks! NEED HELP! 🙁 TaiG says, “Activate iDevice before jailbreaking” what does that mean? I’m fairly new to all this. Please help! You only need the passcode off during the jailbreak process. You can turn it back on immediately after. Does TaiG still require iTunes to be 12.0.1.26? THIS JAIL BREAK LIKE THE REST IS ALL BS NONE OF THEM WORK. I don’t understand this at all, considering I was at ios 8.4 two weeks ago, just plugged it in and it worked fine. I’m at ios 8.4 again after my reboot, and for some reason now it’s telling me to restore to 8.2 beta…what is wrong? worked perfect last time? shtdown->holdon home btm ->connect USB kbl->will c recovery system, must on u have firmware on ur pc .